International migration has become an all-important issue for the world as a whole, and for the European Union and its neighbourhood in particular. People crossing international borders bring with them a baggage of different cultural, social and political experiences, which then they negotiate with the host society. This dynamic, two-way process of integration has, however, impacts on societies of origin as well. This year we ask a crucial question: How is integration negotiated between the sending and receiving countries? Participants of the IX Migration Summer School on Theories, Methods and Policies will explore the answers to this question. Through this lens they will analyse the interactions of the regions of origin and the regions of destination; migration policies and the regulation of migration; and processes of social cohesion. 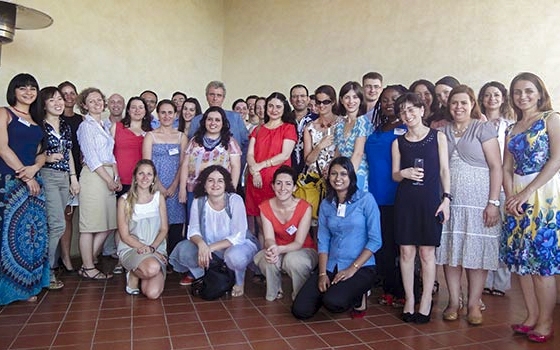 The IX Migration Summer School will take place between Monday 17 June and Friday 28 June at the European University Institute in Florence (Italy). Two days of the Summer School will coincide with the annual MPC Conference. Therefore the participants will attend the debates and discussions held at this occasion, as well as a roundtable especially organised for them with EU Commissionner for Home Affairs Cecilia Malmström. be able to attend the entire teaching aspect of the programme. Doctoral and postdoctoral researchers as well as civil servants and professionals from intergovernmental and governmental agencies working in migration-related areas are encouraged to apply, especially those coming from the countries covered by the MPC and its projects. At the end of the School, participants are required to write an essay related to the themes covered. All essays will be evaluated by a Scientific Committee and subsequently the three best essays will be published on the Migration Policy Centre website. The tuition fees for the IX Migration Summer School are €1,000. Accommodation can also be provided at an additional cost of €58 per day. Scholarships are available for outstanding candidates to cover tuition, travel and accommodation. However, please note that unsuccessful applicants for these places would not be considered for a fee-paying place at the school.